It seems unfair, but that’s what may have happened this month. I’m rather pleased with myself for it. June didn’t come with any more or any less sleep than before, but I’ve managed to keep my sanity and decrease the caffeine intake. I had a reasonable number of projects, so I believe it’s past time to send my machines in for service. I work them too hard. Dress U was a really good time. The instructors were very knowledgeable, the classes and events were well spaced, and the hotel was a great match for the weekend. 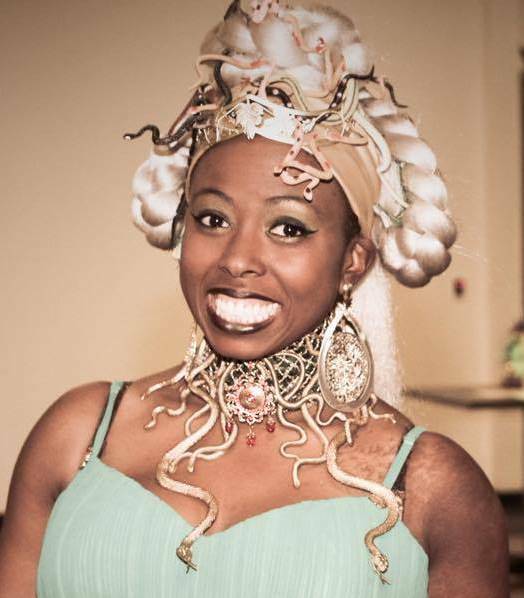 I sewed a bunch, I learned a bunch, and I met a bunch of great costumers from all over. I look forward to next year and all of the fabulous costume changes. I made a new Elizabethan gown for the Courtier Formal Dinner, a pink taffetta circle skirt for the Crepe Breakfast, and a pale turquoise dress (with a cork tiara) for a 1920’s impression to the Tiara & Jam-pagne Party. 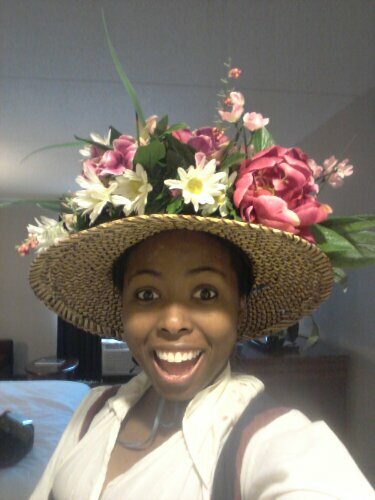 I wore my mulberry kirtle with a new garden hat for the Mad Tea Party. I felt ridiculous taking my sewing machine, but I found out that a lot of people did. They should set aside a dedicated sewing room for next year. 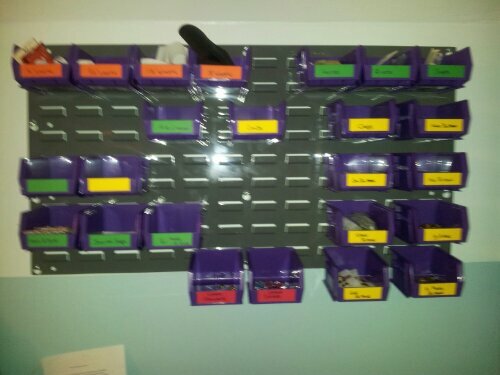 When I got back, Husband helped me hang some wall storage. He’s so sweet, and this freed up a helpful amount of space. The unit currently houses notions and closures. The trays slide right off, so I can take my work with me and put it back without packing everything in separate travel containers. I made labels out of cardstock. June was recital month at The Tiny Tyrant’s dance studio, and she ended up with a few items from the workroom. For the class party, we customized an MLP and named her Encore Prance. I made a bustle tutu from pink tulle and embroidered one strip on each side with pink ballet slippers for the cutie mark. TT’s ears and tail were made from dark pink felt attached with combs and a hair clip, respectively. I cut up a pair of adult sized pink socks for her wrists and ankles. 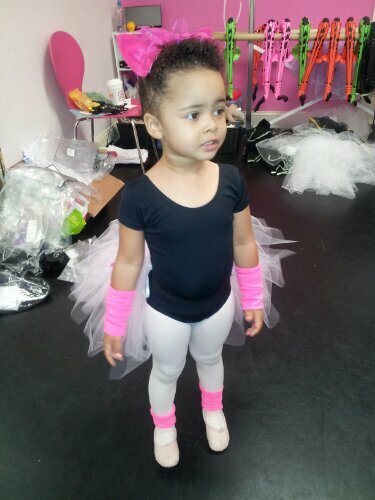 She wore the accessories over her leotard and tights, and I put her “mane” into a ponytail mohawk. Adorable. For the recital, I made her a pink cover-up, and turned the costume’s headband into a pair of bows for the preferred age-appropriate pigtails. With all the goings-on in the last two months, I neglected my laundry duties, so my laziness reached a new low. I started sewing outfits for work. Since I have no experience in making mundane clothing, I stuck to tunic dresses and maxi skirts–two in jersey and one in a rayon blend. It’s summer, so I had an excuse. There are no pictures, but I promise that it happened. The final achievement of the month was my first adventure with spandex. 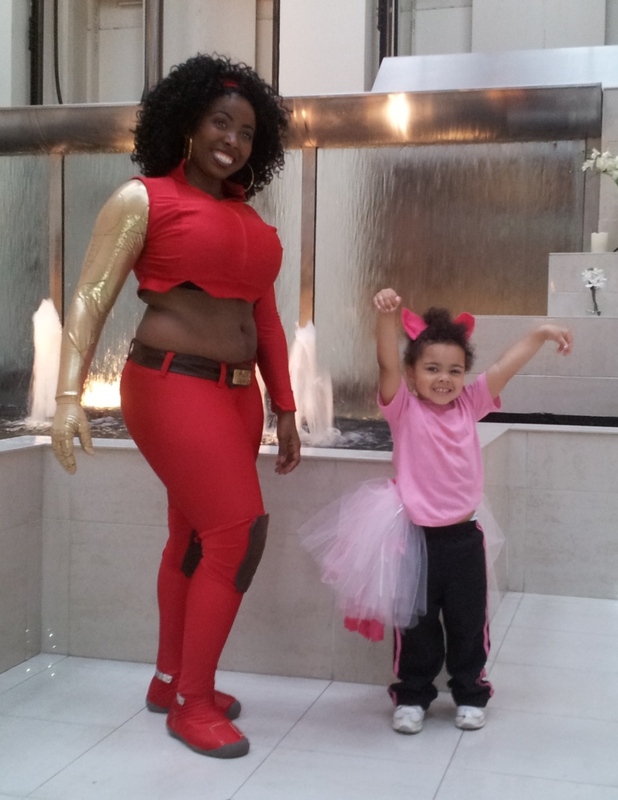 We attended the first First State Comic Con today, and I was dressed as Misty Knight. I had to get rather creative at the eleventh hour and I missed registration for the costume contest due to a downpour, but the ensemble was still a lot of fun. I’ll do a write-up this week. We don’t have any costumed events planned this month, so I’m going to start my Baltimore Comic Con outfit and work on repairs and re-fits for ren faire season. It already sounds relaxing, but I’m not going to hold my breath. Good times are ahead. Thanks for stopping by!